The mother of infant Fan Zixuan smiles as she holds her baby in her arm after the 11-month-old was discharged from Beijing Children's Hospital on Wednesday. 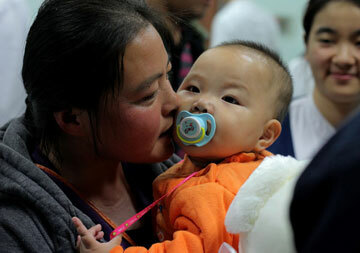 The baby, from Shandong province, was treated after 16 needles had been inserted into her body. 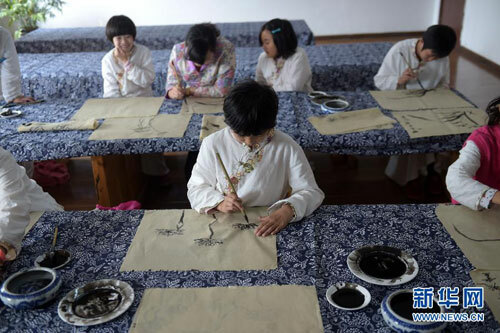 Chalk tray may finally be out of sight as a Shangdong-based company put into production its latest smartscreen design, through which even calligraphy can be demonstrated by simple touch. 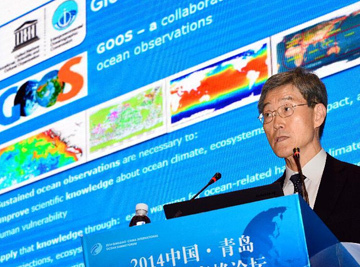 Bian Xiangqing, president of the UNESCO's Intergovernmental Oceanographic Commission, delivers a keynote speech during the 2014 Qingdao China International Ocean Summit Forum in Qingdao, east China's Shandong Province, Oct. 15, 2014. 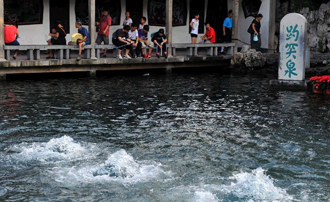 Tourists view the Baotu Spring in Jinan, capital of east China's Shandong Province, Sept. 10, 2014. 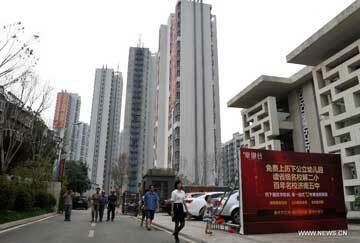 The Baotu Spring has been spewing continuously for 11 years since it spewed again on Sept. 6, 2003. 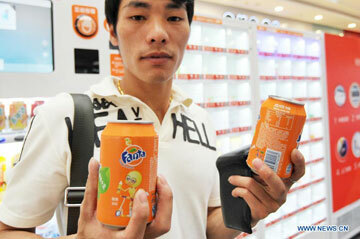 A customer demonstrates two cans of soda drink he bought via self-service checkout in an unmanned supermarket in Qingdao, east China's Shandong Province, Sept. 13, 2014. 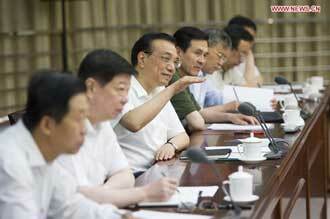 Chinese Premier Li Keqiang has urged government organs to reduce administrative procedures for small firms, stressing supervision should not be a hurdle to small businesses. 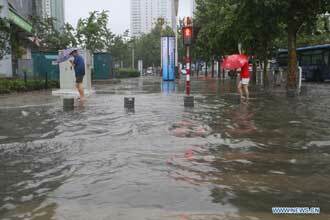 People walk on a waterlogged road in rainstorm in Yantai City, east China's Shandong Province, July 25, 2014. Typhoon Matmo brought rainstorms to the province. 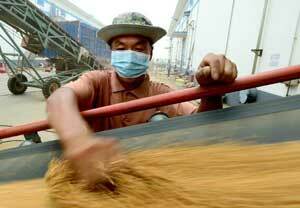 A worker stores newly-harvested wheat in Boxin Agriculture and Science Ltd. Co., in Zibo, east China's Shandong Province, July 2, 2014. 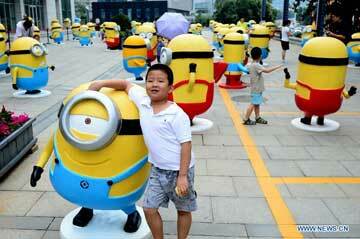 Citizens pose for photos with minions figures in Jinan, capital of east China's Shandong Province, July 12, 2014. Figures of minions from movie "Despicable Me" were on display here. 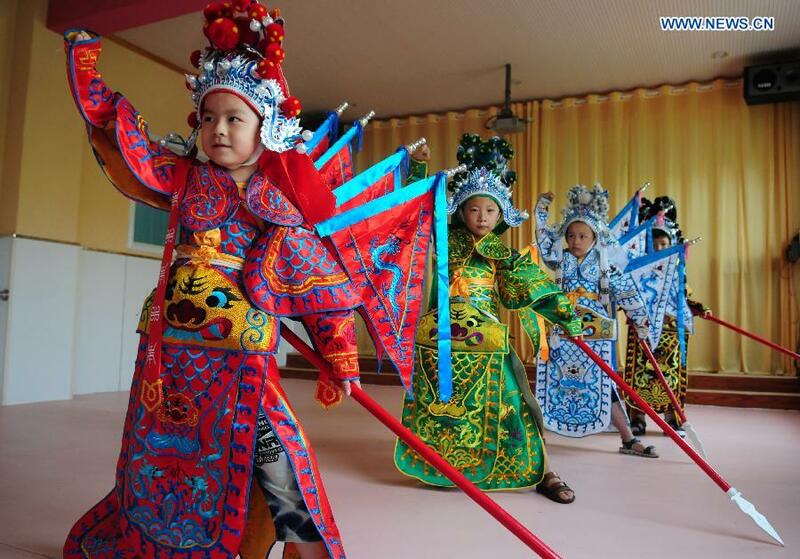 Children practise skills of Peking opera at a kindergarten in Liaocheng City, east China's Shandong Province, June 13, 2014. 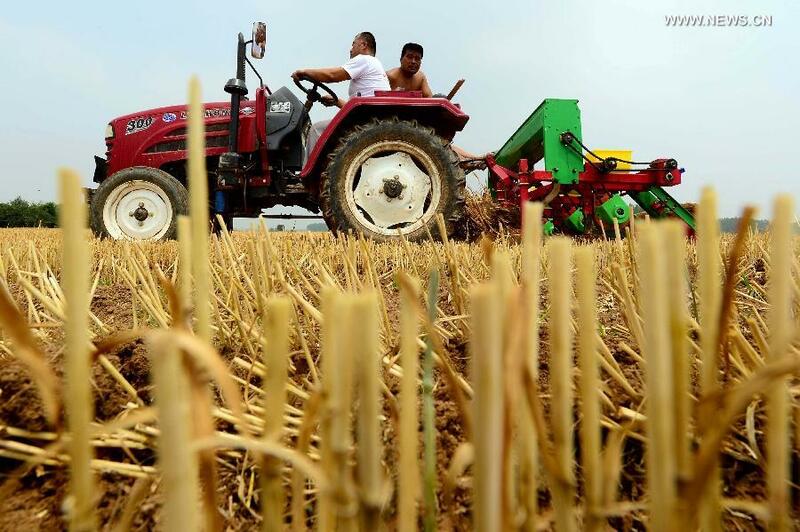 Farmers plant corns in the fields at Xiangzhaozhuang Village of Xiajin County, east China's Shandong Province, June 11, 2014. 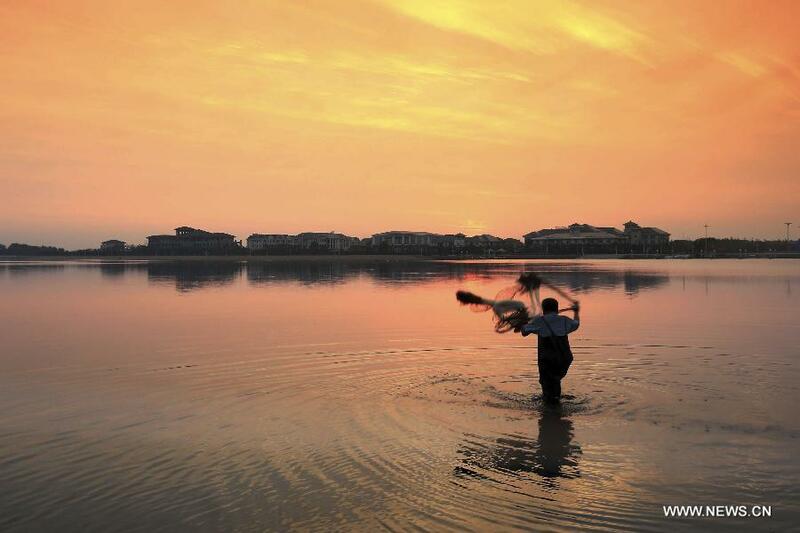 A woman clears up green algae on the beach in Rizhao City, east China's Shandong Province, June 10, 2014. 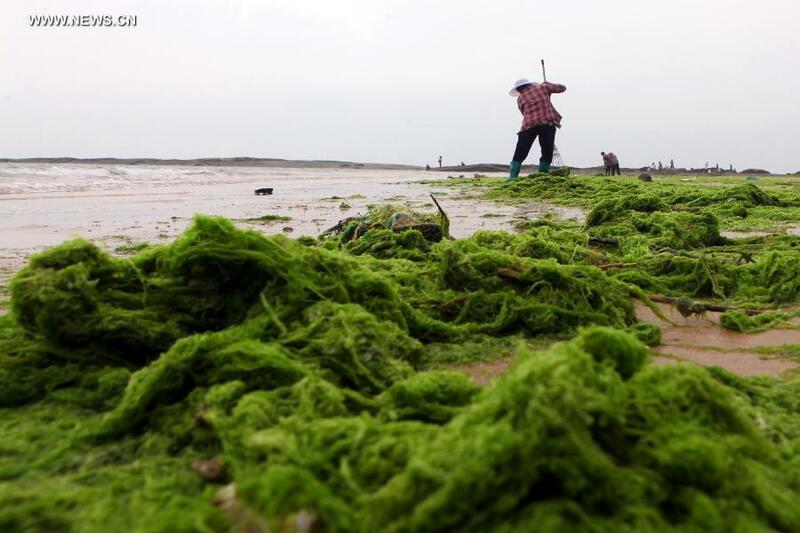 An algae bloom, or "green tide," has broken out in waters off China's east coastline. 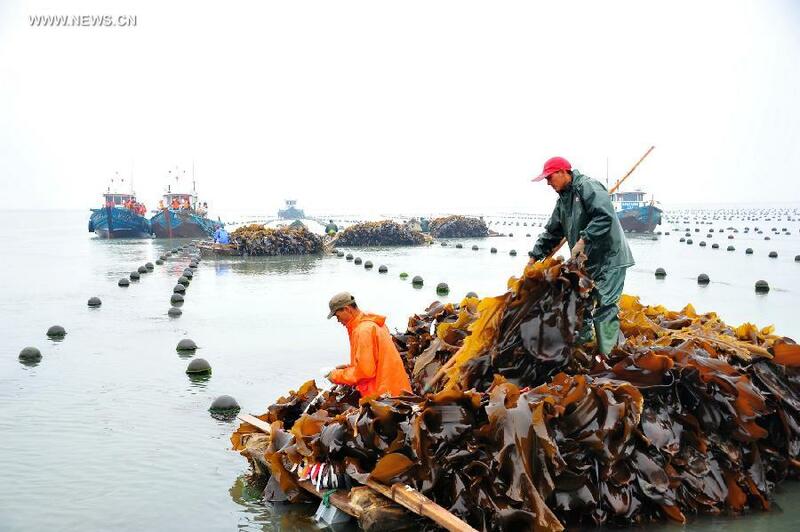 In Rongcheng, workers are busy collecting edible seaweeds as the harvest season arrives. 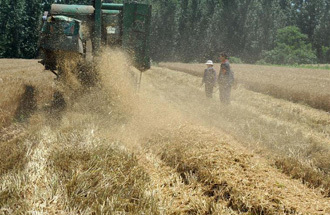 Rongcheng is a major planter and producer of edible seaweeds in China, turning out over a half of the country's seaweed products annually. 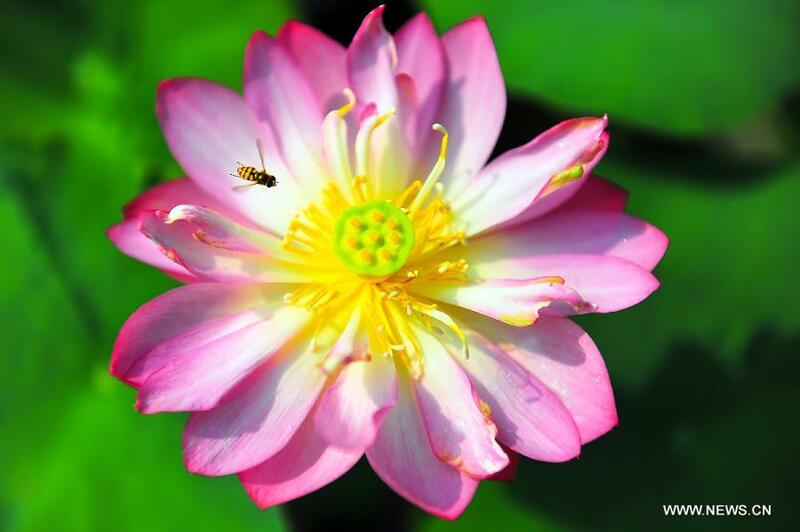 Photo taken on June 5, 2014 shows a blooming lotus flower in Ji'nan, capital of east China's Shandong Province. 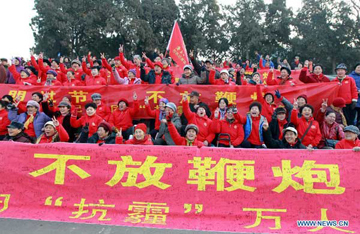 People show the banner calling for a fireworks-free Spring Festival in Jinan, capital of east China's Shandong Province, Jan. 25, 2014. 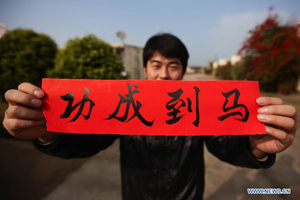 Zhao Guoguang, a Chinese engineer working at Shandong Electric Power Construction Corporation-III in Jhajjar Power Station, shows a Spring Festival decoration reading "success will come" in Jhajjar District of Haryana State, India, Jan. 23, 2014. 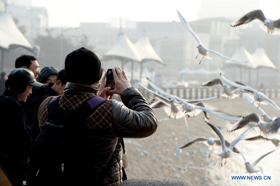 Citizens view sea gulls at the coastline in Qingdao, east China's Shandong Province, Jan. 25, 2014. 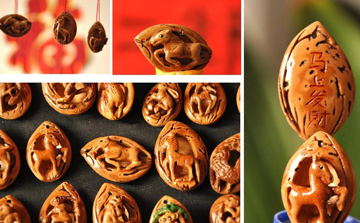 Combo photo taken on Jan. 5, 2014 shows walnut-carving works featuring the theme of horse to greet the upcoming Chinese lunar new year, the Year of Horse, in Zibo City of east China's Shandong Province, Jan. 5, 2014. 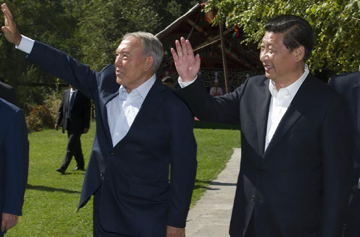 Briefing Nazarbayev about China's economic development, Xi said China enjoys sound growth momentum and will push forward economic restructuring and further increase the quality of its economic development. 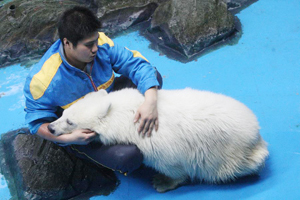 Polar bear cub Pezoo is seen at a local aquarium in Yantai, east China's Shandong Province, Sept. 6, 2013. 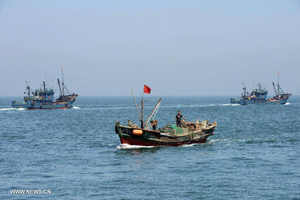 Fishing boats set off for fishing from a fishing port in Qingdao City, east China's Shandong Province, Sept. 1, 2013. 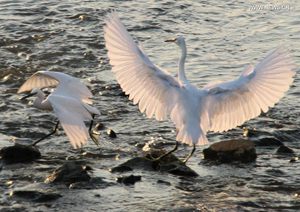 Egrets are seen on the wetland of the Longshan River in Penglai City, east China's Shandong Province, Sept. 3, 2013. 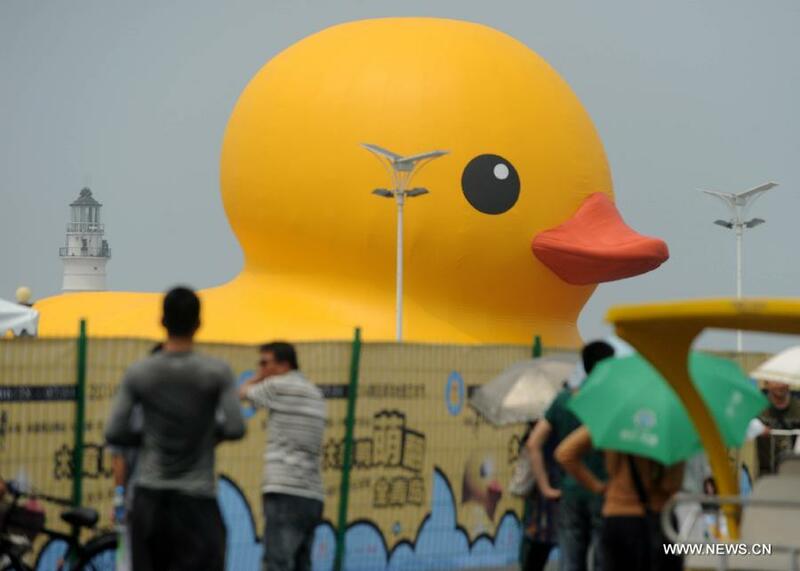 Visitors take photos during the 2013 Shandong Autumn auto show in Ji'nan City, capital of east China's Shandong Province, Sept. 5, 2013. 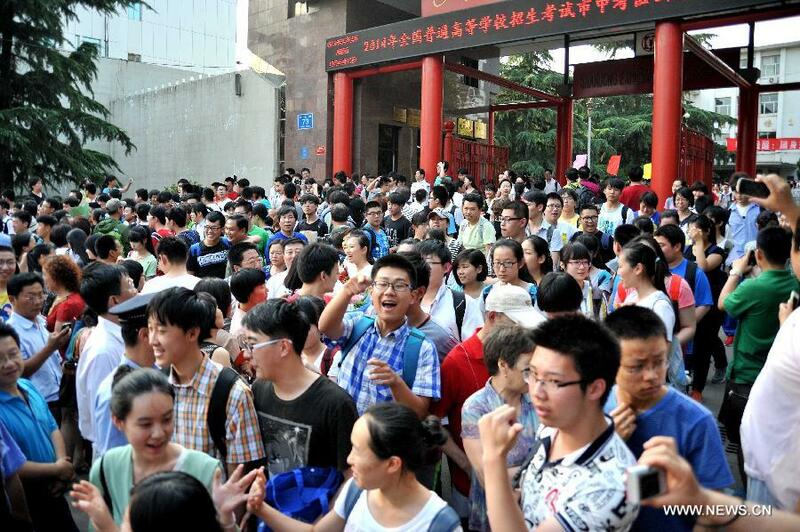 Students head towards the Jinan Railway Station in Jinan, capital of east China's Shandong Province, Aug. 29, 2013. 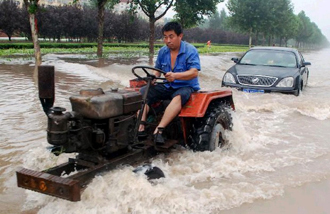 A tractor pulls a car which broke down on a flooded road in Liaocheng City, east China's Shandong Province, July 26, 2013. 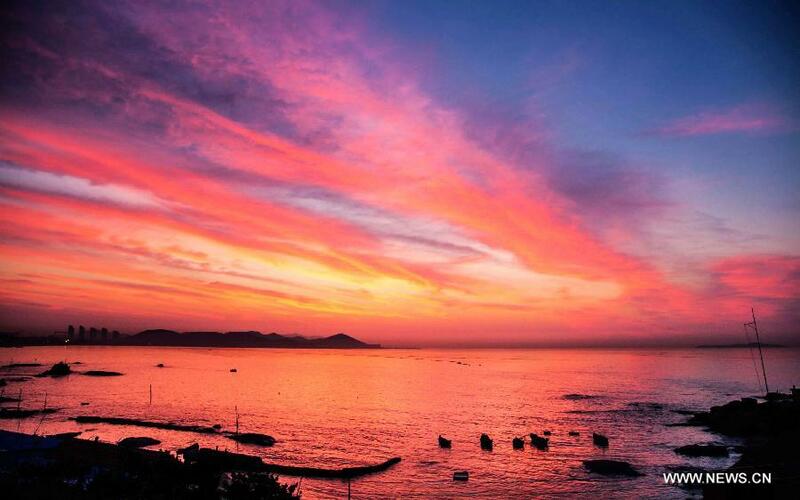 Rainstorms hit the city from Thursday evening to Friday. 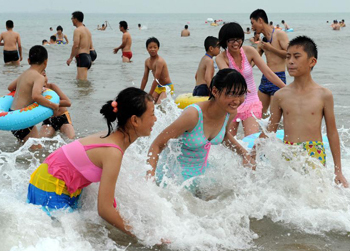 Tourists play on the Stone Old Man Beach in Qingdao, east China's Shandong Province, July 28, 2013. 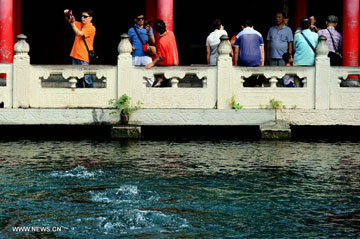 Tourists visit the Baotu Spring in Jinan, capital of east China's Shandong Province, July 28, 2013. 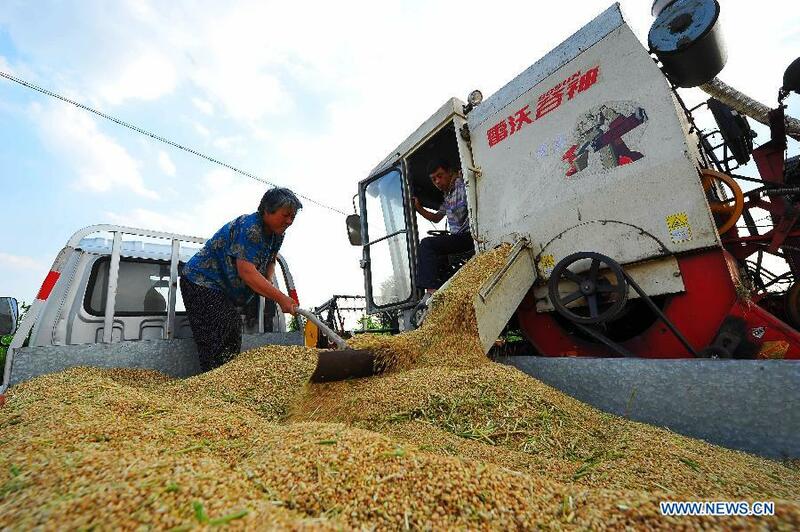 A combine harvester works on a wheat field in Changqing, Jinan, east China's Shandong Province, June 14, 2013. 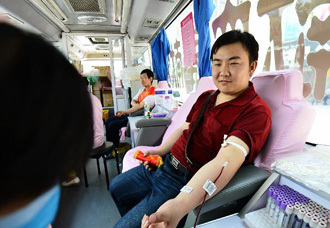 Guo Junpeng, a local citizen, donates blood for free in a mobile blood collection vehicle in Xining, capital of northwest China's Qinghai Province, June 14, 2013, on the occasion of the World Blood Donor Day. 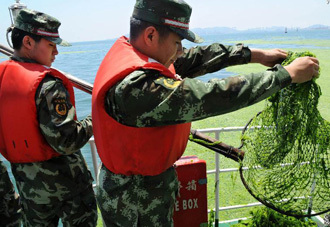 Soldiers check the green algae on the offshore waters of Jiaozhou Bay near Qingdao City, east China's Shandong Province, June 14, 2013. 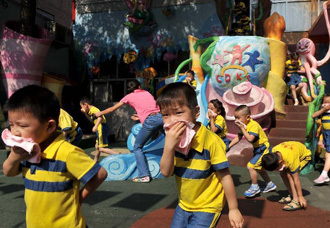 Children take part in a emergent evacuation drill in a kindergarten in Huaiyin District of Jinan, capital of east China's Shandong Province, June 14, 2013. 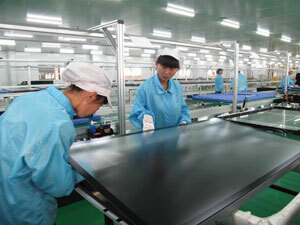 Staff members of a South Korean commodity fair welcome visitors during the fair in Jinan, capital of east China's Shandong Province, June 12, 2013. 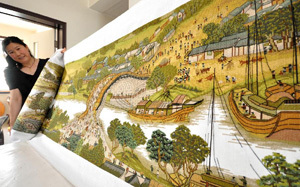 Cross-stitch work of "Riverside Scene at the Qingming Festival"
Yang Hua demonstrates the 22-meter-long cross-stitch work of "Riverside Scene at the Qingming Festival" in Yiyuan County, east China's Shandong Province, May 22, 2013.